With authorised capital of $1bn and paid-up capital of $750m, QInvest has created a world-class investment banking capability operating under Sharia’a-compliant structures. Through investment banking and management, brokerage and wealth management, QInvest offers a broad range of expertise to consistently deliver high value to clients, covering several investment and financial requests. 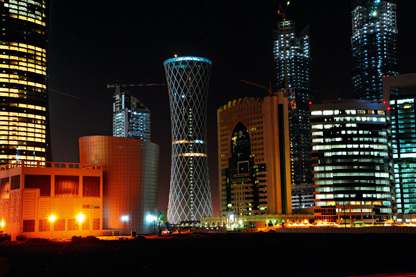 Its team, comprising of both international experience and regional knowledge, has successfully executed several mandates including acting as financial advisor to the Qatar Navigation merger with Qatar Shipping, and Qatar Islamic Bank (QIB) on the development of a multipurpose mega mall; in addition to being a joint lead manager and bookrunner for QIB’s highly successful $750m.